We’re big, yes. Over 9,000 square feet to be exact. But we’re far from big box. From climbing ropes to sleds and tires, to rings and pull-up bars, our full-force fitness facility is equipped with a wide range of strength and conditioning stations that are designed to accommodate everyone from fighters to soccer moms. 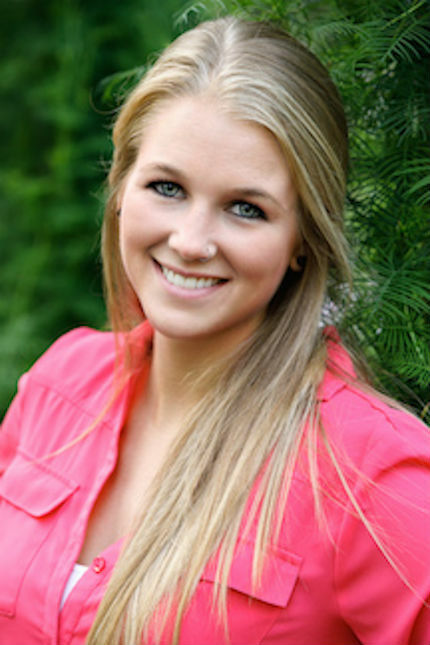 She was named 5280 Magazine’s 2013 Top of the Town Best Personal Trainers. 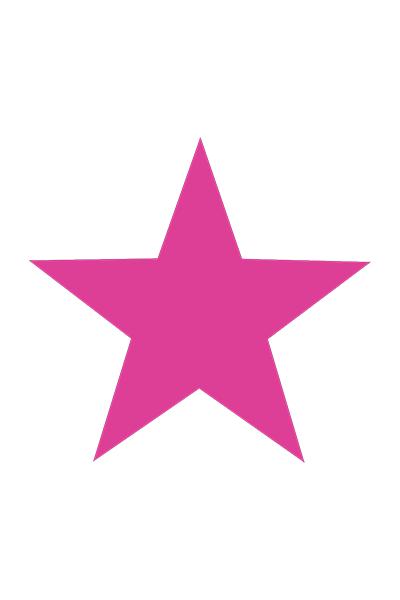 She’s consistently ranked as one of Denver’s top 10 trainers by Denver’s A-List awards. She won her first boxing match by TKO. 12 Hour Cancellation policy. Clients will be charged the full rate if they do not cancel within 12 hours of their session. 14 day notice to cancel personal training memberships required. In the fitness world, some might look at Charlie as an underdog. And that’s perfectly fine for this comeback, come-from-behind-kid. Charlie had been struggling with his weight since childhood. At the start of his freshman year of college, Charlie weighed 375 pounds. After he graduated, he knew it was time for a change. He started running and working out; by his 25th birthday, Charlie had lost 190 pounds. 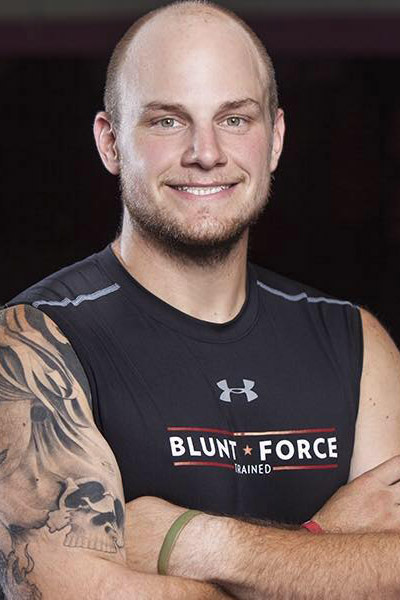 He left his desk job and began working out at Blunt Force. Since then he’s lost over 7% body fat and put on 40 pounds of muscle. But transforming his physical physique was only part of Charlie’s goal. The other was pursuing a career in personal training. It’s no surprise that Charlie found a way to muscle through his training and come out on top. Charlie brings a real passion to Blunt Force every day, whether it’s through his own workouts or the classes he teaches. He recently became an NASM Certified Personal Trainer and is pumped to be a part of the Blunt Force family. If you have a personal obstacle, like losing weight or getting in shape for a race, Charlie is just the man to have by your side. When he’s not at the gym, which is rare, Charlie loves spending time outdoors. But even then he’s usually hiking, climbing 14ers, or conquering the latest obstacle course race to come through Colorado. 12 Hour Cancellation policy. Clients will be charged the full rate if they do not cancel within 12 hours of their session. Seth’s fighting career began when he joined the Army as a Sniper in 2001. During his service, Seth trained in the Army combatives system. In 2003, he moved to Brazilian Jiu Jitsu at Hawaii’s O2 Martial Arts Academy. While at this prestigious academy, Seth trained under Mike and Chris Onzuka and Shane Agena. Seth served multiple tours and was awarded the Purple Heart following a tour in Afghanistan. 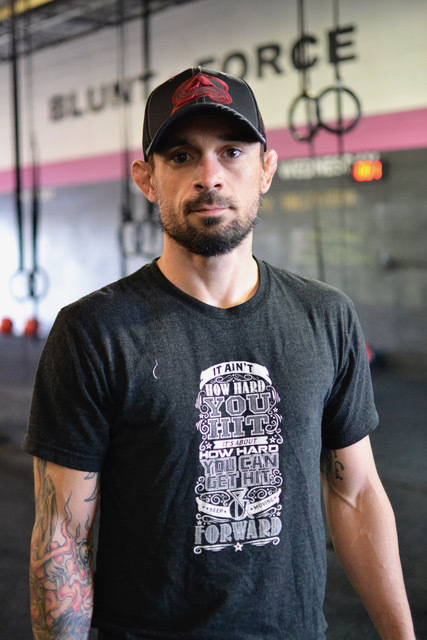 After being retired from the Army, Seth moved back home to Denver in 2009 where he honed his BJJ under Steve Hordinski at the Relson Gracie Colorado Academy. Since then, Seth has earned his purple belt and remains an avid competitor. He has won multiple medals in both Hawaii and Colorado. Seth has since become an instructor at the Relson Gracie Colorado Academy, and now heads up the Blunt Force Fight Team. When he’s not teaching and developing our fight team and BJJ skills, Seth is helping clients reach their strength and conditioning goals. Seth also continues to grapple and has several MMA wins under his belt. Even though he’s only 23-years-old, Eduardo Vasquez has been around boxing for over 10 years. 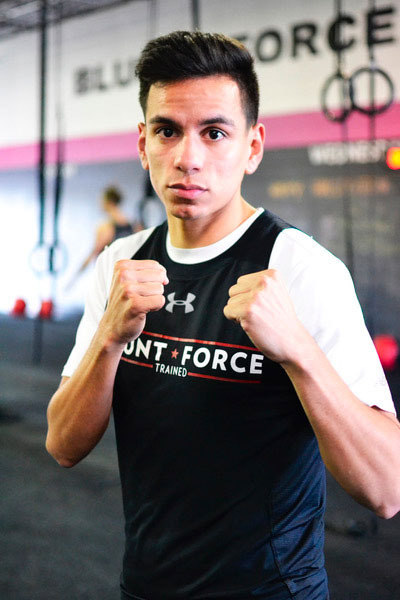 This California native has placed in many national tournaments, including USA Nations Champions, National Golden and Ringside World Championships. But it’s not just his golden gloves that attract clients to Eduardo’s corner; it’s his heart of gold. Eduardo might be young but he’s wise beyond his boxing years. His warm smile can light up a room, and his footwork is a cross between Sugar Ray and Fred Astaire. Eduardo’s calm demeanor and incredible boxing IQ is what attracts boxers of all levels to his ring. From amateur fighters to professional punchers to people just looking to stay in shape, Eduardo loves sharing his life’s passion with others. When Eduardo’s not jabbing away at his business degree or bobbing and weaving down mountain trails, he’s inside the ring doing what he loves best: Flying like a butterfly, stinging like a bee! Whether he was rounding the bases in little league or lettering in high school sports, Derrick has always been involved with athletics in some capacity. As Derrick got older, he became more and more fascinated with the preparation, training, and recovery of sports. This ultimately led him to pursue a professional career in fitness. After graduating from the University of Pittsburgh with a degree in Rehabilitation Science, Derrick moved to Santa Barbara where he worked as the Strength Coach for the Oceanside Tennis Academy, along with other collegiate and amateur athletes. Derrick then set his sights on sports medicine. So he traded his board shorts and sandals for ski pants and hiking boots and moved to Denver to pursue a Master’s degree in acupuncture. Derrick worked as a personal trainer while getting his degree, which allowed him to put his clinical background of treating pain and injuries to help shape his training techniques and philosophies. Derrick’s keen attention to biomechanics allows him to push his clients and demand excellence without putting them at risk. So if you’re looking for a trainer with a ton of credentials and knowledge, (Certified Strength and Conditioning Coach, Fascial Stretch Therapist, and Licensed Sports Medicine Acupuncturist) then look no further than Derrick. He’s definitely the smart choice! Ian definitely embodies that Rocky mentality found around the gym– “It’s not how hard you can hit, it’s how hard you can get hit and keep moving forward.” In fact, that’s how Ian’s fitness career began. After being sidelined from a major sport’s injury, Ian went through a long and painful rehab. During his recovery, he quickly discovered that he had a true passion for health and fitness. This ah-ha moment eventually led him to George Washington University where he earned his degree in Exercise Science with a focus in Athletic Training. From here, Ian continued his education as a volunteer at the Walter Reed Naval Medical Center MATC, and as an intern in practice clinics. Eventually Ian ended up in Denver, and luckily at Blunt Force. Here at the gym, Ian uses a combination of strength training and corrective exercise to improve his clients’ overall quality of life and help increase physical longevity. And when Ian’s not snowboarding, rock climbing or skydiving, he’s putting all his certifications to good use. 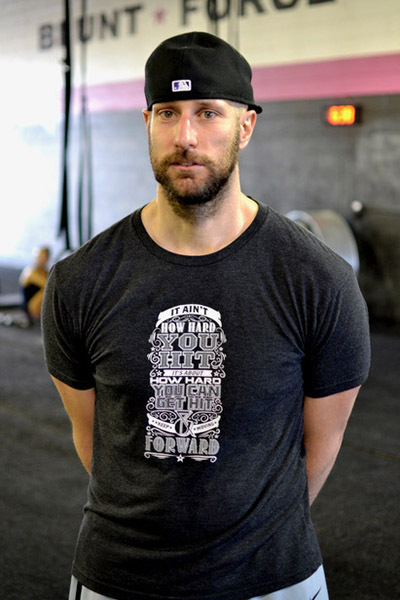 His current certifications include: USAW Sports Performance Coach (Olympic Lifting), Kettlebell Coach, Trigger Point Therapy, Prenatal and Postpartum Training, Precision Nutrition, Functional Movement Systems FM and ACSM Certified Personal Trainer. To describe Ian as driven would be an understatement. Her motto is simple: a negative mindset will never give you a positive life. That’s how trainer Jenny Spiller lives life every day. With a positive mindset, a smile on her face and a never-say-quit attitude, Jenny loves spreading good vibes throughout the gym. As Jenny teaches clients to push their limits by balancing mobility, effective programming, and a holistic approach to fitness including, she does it with a smile on her face. Jenny specializes in monitored plans, mobility and flexibility, balance and stability, core strengthening and conditioning. When Jenny is not training, she can be found running, horse riding, boxing, snowboarding, traveling, and climbing anything! Grahame’s athletic career began early. He played recreational soccer beginning at age five, competitive soccer through high school, and competed as collegiate student-athlete on a nationally ranked soccer team. After experiencing a ton of success on the field, Grahame decide to take his love for fitness off the field. Grahame completed a rigorous 6-month program at the National Personal Training Institute of Colorado where he studied group training, coaching special populations, and nutrition. He also became AED/CPR certified and earned his certification as a National Association of Sports Medicine Personal Trainer. Whether Grahame is playing soccer, going for trail run, or doing pull-ups in the park, he believes that fitness doesn’t have to be something we dread, but instead an activity that is engaging, confidence building and fun. 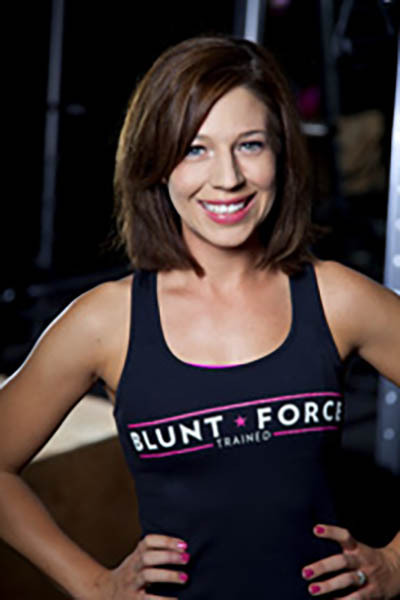 We are lucky to have Dr. Taylor Ferguson of Function First Chiropractic as a part of our Blunt Force team. Her office is located at the front of our space and we trust her to take care of all of our athletes. From acute care to maintenance care she has you covered, and specializes in working with the active population. Follow this link to check out her website!